Ziggy & Maikal X set to perform at the 2010 St.Maarten Heineken Regatta. January 28th 2010-Simpson Bay St.Maarten-Holland’s biggest Reggae Star Ziggi will be opening on Sunday March 7th for a fantastic night of fun on Kim Sha Beach. 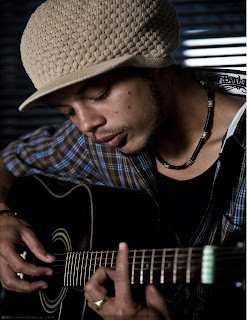 Having shot to fame since 2004, with singles like ‘In my Head’, ‘High time’ and ‘Missing the Way’ Ziggi has been compared to many great Reggae artists, and is predicted a bright future in the Music world. His fame takes him well beyond the borders of the Netherlands, having toured with German Reggae band Gentleman and played at many European concerts. He was recently signed to Jamaican record label VP/Greensleeves, where he is the first European Reggae artist to join their roster. As a young artist, Ziggi is proving to be socially engaged, as his latest record ‘In Transit’ deals with issues like environment and poverty. Ziggi now comes back to the Caribbean, which is where he grew up listening to Reggae, Dance Hall and Hip Hop; all of which influences are now deeply intertwined in his melodies. Having performed on the Boardwalk in Philipsburg at the 2007 regatta, the crowds loved him, and the organizers are very pleased to welcome him back! Ziggi will be teaming up with Maikal X, also known as Shyrock or Rollarocka. This artist hails from the Netherlands, with his roots in the Caribbean. Having recently launched his solo-career, Maikal X is no stranger to the party scene where he is known as the tenor of The Postmen. With this group he has had a string of hit singles such as “Cocktail” and “You Wait” taken from their hit debut album “Documents”. Under the name Shyrock, Maikal X is also known as the MC of Europe’s biggest dancehall and reggae party called “Jamrock”. His MC skills have taken him to many corners of the world, so for Sunday’s show he is expected to bring some upbeat reggae beats to Kim Sha beach. Both Ziggi and Maikal X will be backed by the Renaissance Band.